White Oak Pastures has so many unique experiences to offer. While Equine Trail Rides may be familiar to some, we are certain that our scenery will be quite different from any other trail ride you have experienced. Explore our sprawling farm in a natural, peaceful way- on horseback! Read on to learn more and book your ride. Our cabins are the perfect way to share the way of life here at White Oak Pastures with our customers and provide a window into a multigenerational sustainable farm. We welcome you to organize a trip to our farm and we will offer you the best Southern Hospitality and true farm-to-table dining. Our four cabins are named after Harris family ancestors. 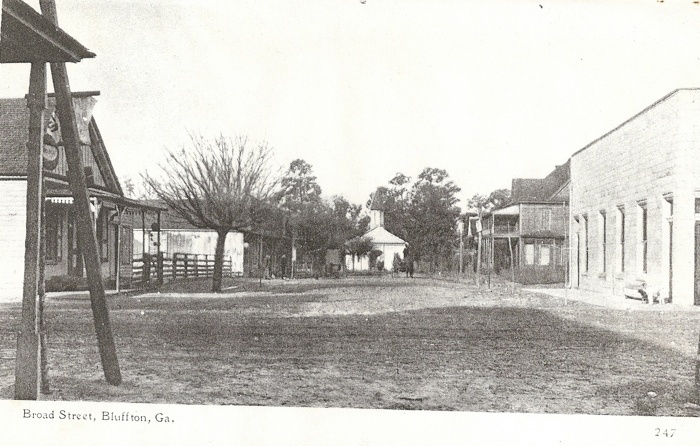 Bluffton has a rich history and the Harris family has been here for 152 years. You bet they have some stories now! 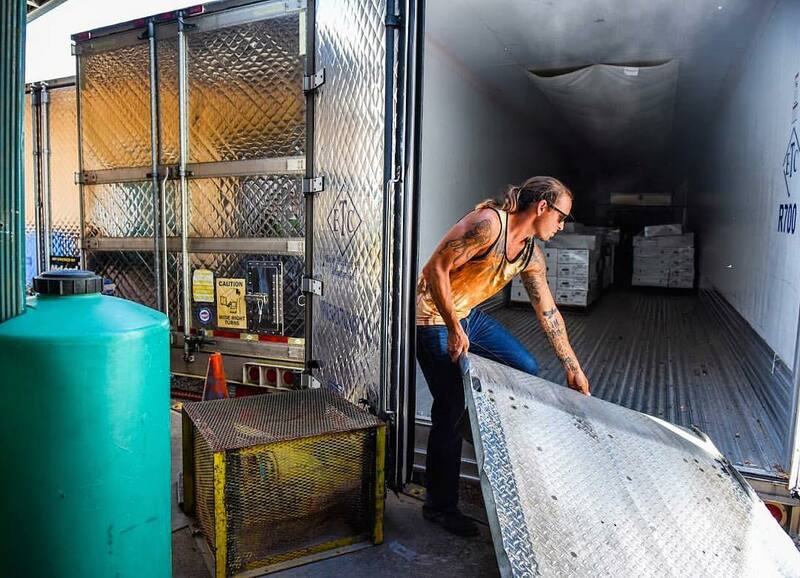 The White Oak Pastures General Store, online store and Food Truck are proud to offer our smoked turkey breast, which are ready to eat for your convenience! Naturally cured (no nitrates except for those naturally occurring in celery juice powder), then smoked using natural hardwood, you’ll love the taste of this humane and sustainable product. Whether it’s on a sandwich or in a wrap, when you need a quick meal on the go, these are PERFECT for everyone! Even fourteen-month-old Jack Harris, White Oak Pastures sixth generation, loves these turkey breasts cut into bite-size pieces. 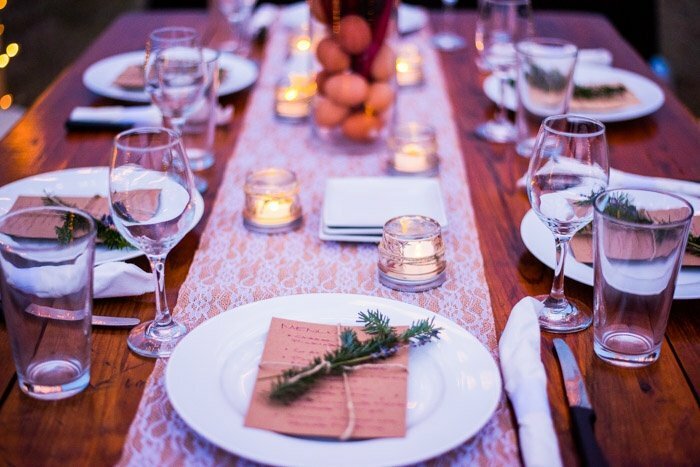 We offer specialized private on-farm, outdoor or indoor, catered dinners. 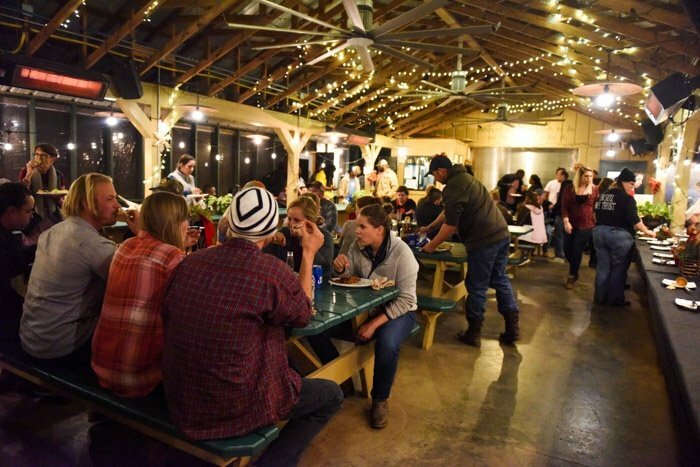 White Oak Pastures is not in the entertainment business, but it just so happens that our way of life here on the farm provides an all-inclusive fascinating encounter found nowhere else in the United States, and you will be entertained. The demand for venues hosting special occasions, entertainment, or just a weekend to relax are ever increasing. 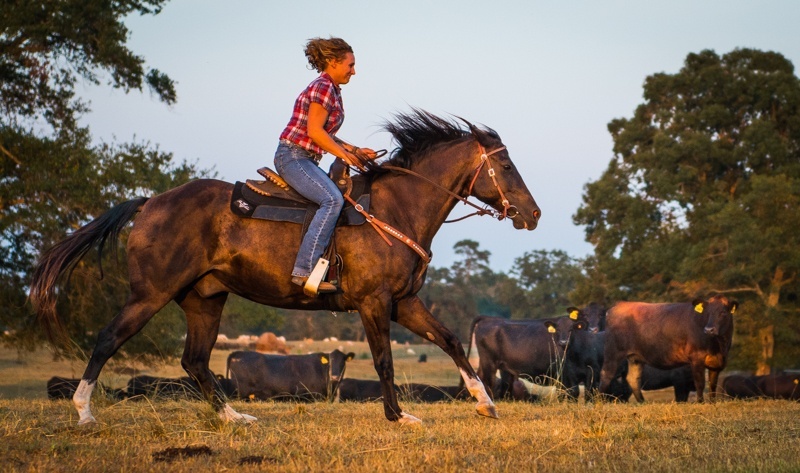 White Oak Pastures is the only place where you can sense and take in the connection between the land and animals alongside the people who care for them. 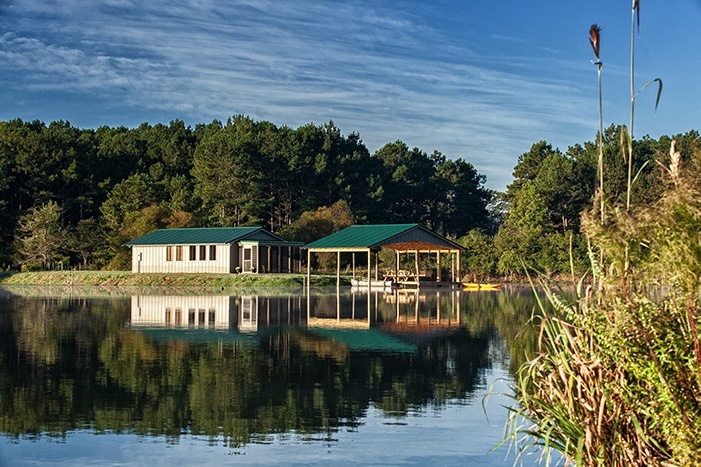 White Oak Pastures also provides an opportunity to intertwine this connection with a unique rendezvous with family and friends. Our food truck offers a range of items including Build Your Own Burgers. White Oak Pastures is one of the few farms in the United States that has both red and white meat abattoirs on the farm. You wouldn’t believe it was so unique, since butchering meat on the farm dates back centuries. 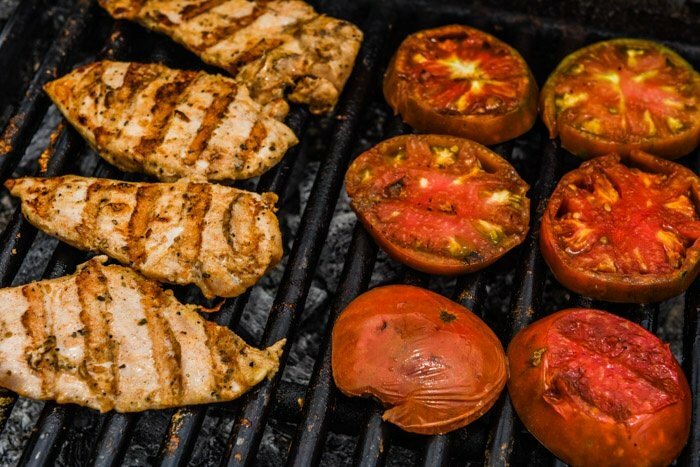 It would be a shame to raise, slaughter, and process all of our red and white meat, and grow a variety of vegetables in our organic garden, and be unable to enjoy it right here on the farm and in downtown Bluffton! 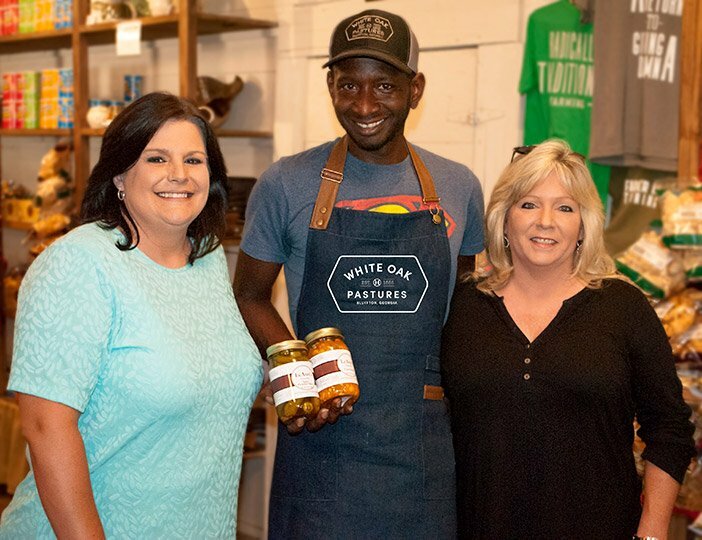 If there is one thing that we southerners have in common, it’s that we love “good ole southern cookin’.” It was only a matter of time before White Oak Pastures added their own “Taste of the Town” to Bluffton, Georgia, which was easy considering there is no other place to dine in Bluffton, Georgia. What started out as a place for the employees to eat lunch every day is now our Dining Pavilion that serves lunch to our employees, our guests, tour groups, and friends from all over the United States. We cook what we grow and raise, right here on our farm, and our condiments and dressings are homemade. We southerners are “meat and potatoes” kind of folks. But, we don’t want to exclude our vegetarian friends, so we have a homemade vegetarian quiche that will undoubtedly do the trick. Lashona Butler, our Dining Pavilion and Food Truck Manager, has worn more than a few culinary hats in her life. Lashona came to White Oak Pastures in 2012 and hasn’t stopped learning, progressing, and developing strategies. Not only is she enhancing White Oak Pastures, but she is inspiring her staff to strive for excellence! This falls right in with her description of White Oak Pastures as “Innovative”. 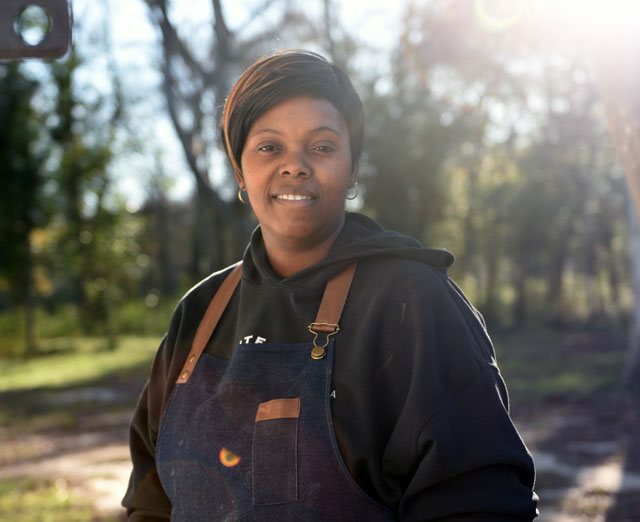 Take the time to read about the woman preparing White Oak Pastures’ specialized Pavilion meals and our more southern quick-serve Food Truck meals, which have equally savory food!